The laser treatment stimulates the fat cell and turns it into liquefied fat within the cell. The liquefied fat moves from inside the cell through a temporary pore formed in the cell membrane to outside the cell where it is in the interstitial space until absorbed by the lymphatic system. This results in millions of fat cells becoming smaller so inches are reduced off the waist, thighs, hips, arms and back. Also at the same time tightening your skin and treating cellulites and stretch marks.The fat cells are not injured in any way by this process. Anyone who wants to lose stubborn fat on either their arms, thighs, stomach and anyone who wishes to treat stretch marks and cellulite. 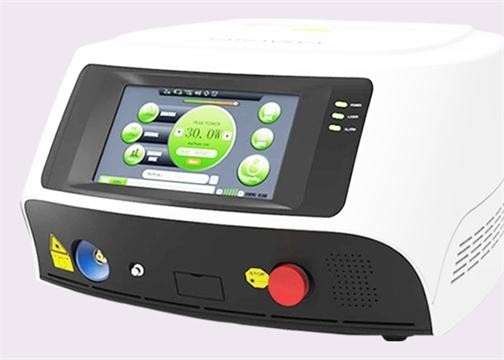 What are the advantages of laser lipo? Convenient: Performed as an out patient procedure. Quick: Takes less than half an hour with no downtime or recovery period. Relaxing: Massages can relieve stress, tension and improve blood circulation. Improves the Skin: Gives it a tight toned appearance and stimulates the production of collagen. Effective: Most people see results after 6-8 sessions. The only negative side effect possible is minor bruising for individuals with very sensitive skin. However there are numerous positive side effects, such as relieving muscle soreness, fading of stretch marks and scar tissue, feeling rejuvenated and relaxed. A laser lipo session lasts for 30 minutes. How many laser lipo do I need? A series of 15 sessions would be a good start to achieve results. After the desired look is achieved, a once a month maintenance is sufficient for most individuals. We suggest that you approach treatment as a lifestyle change. Just as we go to have our hair cut on an ongoing basis, we need our cellulite treated regularly as well. If we don’t address the problem in such manner, cellulite will come back. Rest assured that you are in the best possible hands. With our highly trained therapist, and the machine’s capability of changing intensity, you won’t need to be in pain. It is a non-invasive, relaxing treatment that involves no medical procedures. Isn’t dieting enough - why Laser Lipo treatment? Dieting alone has some big drawbacks- If you eat less, you will lose weight where it’s easiest to lose:the face, breasts and upper body (for most gynoid or “pear –shaped” women). However, along with it, your wrinkles may become accentuated due to the loss of fat, and your chest may lose definition, your breasts may slacken and droop with extensive calorie and protein restriction, your body will call upon the muscles for energy, which will cause a loss of muscle tone. Then, if you abruptly resume eating a large amount of calories without exercising, you will replace the lost muscle with fat. If, like many women, your problem areas are limited to your lower body, eating well – balanced meals and having an active lifestyle together with receiving our treatments will enable you to precisely target and treat problem areas.As you smooth and sculpt your figure, you’ll keep your womanly curves – including your youthful face, breasts and buttocks – intact. No. It is not for pregnant women, or people taking blood thinners, people with circulatory or vascular disease,active cancer, and also with infectious progressive diseases, and AIDS. Should you have any other concerns,we recommend that you consult your Doctor. I am very fit and actively participate in sports, yet I have fatty areas and am plagued by saddlebag thighs and a saggy rear end – can Vacuum Laser massage help? Laser Lipo fights the especially resistant, trapped fat that is typically stored in the thighs, hips, knees,abdomen and upper arms. Where physical exercise indiscriminately burns calories in areas where fat energy is most plentiful, Laser Lipo precisely slims problem areas, reshaping the body according to your reshaping the body according to your desires and unique needs. Flat, sagging buttocks and thighs are uplifted as the surrounding fat is contoured and the curve of the buttocks and hips are sculpted. Yes. Drink sufficient amount of water. You will receive information during your free initial consultation on the amount of water your body needs. Does this treatment work on men also? Definitely. Even though men are not prone to develop cellulite, they might have loose skin, or some fat trapped under the skin, that can be improved by the treatments. Clinical experience has shown excellent results for problem areas such as "love handles" and loose pectoral tissue. It is an excellent skin toner, therefore it is the best choice to treat the skin after weight loss that resulted in loose skin. What is the difference between Laser Lipo & Liposuction? Laser Lipo treatments are non-invasive and improve the health of connective tissue. Liposuction is an Invasive surgical procedure aimed at removing deep fat tissue from an area. Our treatments works in conjunction with liposuction to minimize the trauma cause by the scaring and inflammation of the procedure and to improve the health of the tissue. If the factors causing the initial condition are not changed, the tissue will return to the state it was in before regular exercise, a balanced diet and 1-2 Laser Lipo maintenance per month treatments are recommended to help keep the results achieved.